Looking to live outside the city, but still enjoy city living? This unit in Spruce Grove is just what you are looking for!! This 2 storey townhouse will be perfect for you!! As you enter your new home from your cute little front porch, you are greeted by your spacious family room with a large picture window, allowing the maximum amount of sunlight through. Attached to your living room is your kitchen - boasting 5 appliances, including built in dishwasher. Attached to your kitchen/dining area is a very large 1/2 bathroom. Your stackable laundry is also located on the main floor for easy access. Your sliding door off the kitchen leads to a shared common green space - perfect for summer BBQ's! Upstairs in your new home, you will find two spacious bedrooms waiting for you, as well as one full bathroom. Each bedroom has large windows and closets. Your condo is super quiet and close to all major roads and parks in Spruce Grove. This unit is a great place to call home! One parking stall out front. 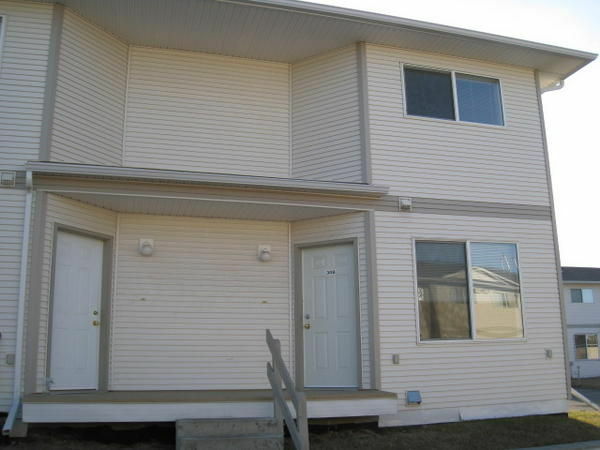 Call today to view this wonderful Spruce Grove townhouse!